Here I am with another edition of “Straight Talk Saturday”- That’s right I am coining a phrase. But in my defense, I have been publishing “Straight Talk” for over two years now at OneBigBroadcast (OBB) thanks to an invitation from Steve and Mimi Arsenault two very talented and visionary people who have Webcasters of which OBB is a division. Until last week when I published A Business Model That Is Just Plain Bad For Business, which you may want to check out to get a snapshot of how the automobile franchise is structured, I was absent for about a month because as I was busy doing things that actually allow me to buy groceries. In college I studied creative writing (fiction) and even had visions of becoming a writer until I realized that sooner or later I would need to buy groceries and writing these posts has given me an outlet to satisfy that vision-at least for now. "And I have a special gift for those of you who actually finish reading this post at the end"
More and more people blocking ads of all forms, the spreading of the dreadful banner blindness disease and the government passing stricter regulations in the name of privacy, the push back is real and gaining momentum and the effectiveness of many outbound marketing tactics are and will continue to diminish. Verizon has finally given in to letting consumers opt out of its supercookie on fears of lawsuits and government intervention. The supercookie is used to track everything you do on your phone including your email, everything you browse including everything you click on. Others were experimenting with these like AT&T but they abandoned their project-I wonder why? The Federal Communications Commission on Thursday passed a proposal from chairman Tom Wheeler, supporting consumers' ability to opt out of robocalling through their wireless carriers. FCC rules for carrier robocall blocking. However as long as agencies can realize recurring revenue streams with this type of marketing it will continue and the cost for you will to reach fewer people will rise. Is this Customer Experience or Smart Marketing? But advancements have also provided us with effective low cost alternatives that would diminish the need for such tactics as you will read. But because they not as profitable they are ignored by agencies and in turn ignored by the companies that are being conditioned by them to keep spending $$$$$$$. This push back will eventually make going after fewer consumers more expensive. Figures show that these new forms of push marketing are successful but fail to point out how many people that are offended by it are lost by the companies using these methods. Studies also show that many consumers are fed up with these invasions on their privacy. Even Google is testing a fee based opt out of being exposed to ads-This should tell you something. If these are thing that consumers want, Why are so many opting out? *Going to be paying more to reach fewer consumers. Ad blocking software is working hard to help users avoid viewing online advertising, writes David Glance, director of UWA Centre for Software Practice at University of Western Australia according to David Glance in his article “Will ad blocking deal the final death blow to already failing online advertising? Google launches tool to keep you opted out of personalized ads on the Web. Keep My Opt Outs is a Google Chrome extension that is being introduced as a response to a problem with existing opt-out programs – they’re reset whenever you delete your cookies. By running permanently within the browser, not as a cookie, you’re opted out permanently. And What About Privacy Issues? In this article by Sharing Data-But Not Happily by NATASHA SINGER Timothy D. Cook, Apple’s chief executive, voiced doubts about data mining. Many Americans share those concerns, a new poll shows. “Now a study from the Annenberg School for Communication at the University of Pennsylvania has come to a similar conclusion: Many Americans do not think the trade-off of their data for personalized services, giveaways or discounts is a fair deal either. The findings are likely to fuel the debate among tech executives and federal regulators over whether companies should give consumers more control over the information collected about them. Advancements have also provided us with effective low cost ways that would diminish the need for such tactics that are not as profitable for marketing agencies and therefore ignored by them and ignored by the companies that are being conditioned by them to spend more $$$$. This push back will eventually make going after fewer consumers more expensive. Figures show that these new forms of push marketing are successful but fail to point out how many people who are offended by it and lost by the companies using these methods. Studies also show as you have seen here that many consumers are fed up with these types of advertising. Even Google is testing a fee based opt out of being exposed to ads-This should tell you something. If you adjust for people who are blocking, ignoring or business that you may be losing using these methods-the adjusted cost would be staggering. And ad blocking is growing at an increasing rate. There is an alternative, non-intrusive and low cost way to reach your audience and that is through onsite communities. Remember that paid advertising is fleeting in that it is only there as long as you are paying$$$$$. Communities are a permanent addition to your marketing strategy that will PAY YOU $$$$$ benefits now and into the future. Growth hacking through onsite social communities has been providing a lot of success and gaining a lot of attention lately and for good reason. They are an inexpensive and non-intrusive way to maintain relationships with existing as well as potential customers to engage with and nurture from one central platform-your website. The versatility and economy that these communities can offer cannot be matched in any other way especially when you consider the long term benefits that they provide. Actually a recurring revenue stream that reflects on your bottom line not on someone else’s bottom line. .
Also, onsite social communities, if structured properly, offer an effective way for you to communicate and nurture in ways that they will welcome your contact by engaging with them in ways that do not intrude on their privacy which as you have just read is becoming a legitimate concern. Onsite social communities are an inbound marketing, customer service and support concept that not very long ago was the recommended way to market until new technology brought us new forms of push technology for big enterprises to generate huge new recurring revenue streams with and all of the sudden pull or inbound marketing was no longer trending. Using your own social channel (community) on your website to connect with your offsite social channels and (key word here) “our”digital ecosystem can make for a winning addition to your marketing strategy while at the same time reducing your overall costs and increasing your revenue. What a novel concept! Not only can it provide a multitude of benefits that cannot be realized through any other marketing initiative, you will not be subject or impacted as much by the constant flux of others' changing marketing policies and popularity that are in a constant flux of change. There is no more transparent way of connecting with your existing and potential customers and employees than having an onsite social community. An onsite social community allows you to partner with your customers and employees to bolster your marketing initiatives and project your customer and employee centric culture through organic search and across all your paid and social channels. By building your own branded community of fans and followers you will have a central location with an organic reach of 100 percent on your real estate (your website) with which to form lasting relationships and a community of fans and followers who can help you broadcast your message across the digital spectrum. Your onsite community provides the means for Socialcasting of which community plays a key role that in its many forms can boost page ranking and drive traffic in ways that no other form of media can. This can provide a base from which to launch all of your marketing efforts to positively impact your overall marketing efforts. Technology is constantly providing us with new and creative ways of centralizing our marketing to make it more efficient, beneficial and cost effective. Maybe others who more concern about their own bottom(s)-lines $$$$[no pun intended] don’t want you realizing this-but you should and now you need to. Depending on your type of business you can give community members permanent savings on products and/or services, discounts on warranties, maintenance Contracts et. and have drawings and special offers to keep them engaged. This is how you will foster an army of devoted customers who will help you broadcast your customer centric culture and drive more traffic to draw many more devoted customers to your business. Recently, Nate Elliot, vice president and principal analyst serving B2C Marketing Professionals speaking at the Lithium Technologies LiNC conference in San Francisco told the audience that you don’t build a community on social or have any meaningful customer relationships on Facebook. Elliott’s advice to brands looking for real, measurable results through social media: integrate social aspects into a platform you own, such as your company’s website. Although I didn’t agree with everything he said I do believe that having an onsite social community is a viable and cost effective alternative that will benefit you, your existing and potential customers in the short as well as over the long term in many different ways and overall at a fraction of the cost of other forms of online marketing. We have been and continue to develop new ways of pulling people in for years through onsite social communities that can take many forms, instead of pushing your marketing on consumers at the risk of alienating them. Also read 11 Ways To Score Customer Relationship Touchdowns for a more in-depth look at how an onsite social communities might be structured AND for those of you who actually read this far I would like to leave you with this Customer Experience Infographic courtesy of Direct Marketing. Being that it is Saturday morning there are some of you who are fortunate not to have to wake up early to go to work, an event or meeting, but I am sure that all of you have stayed in a hotel for an important business meeting or event at one time or another and have called the front desk to ask for a wakeup call because you were worried about being on time for that important meeting and did not want to trust that alarm clock on the nightstand not being sure if you knew how to set it properly or if it worked at all. Or maybe you set the alarm clock or in today’s world your cell phone but used the wakeup service as a backup to insure that one or the other would get you up on time. Talk about being nervous but I think most of us have been there at some point on some level. 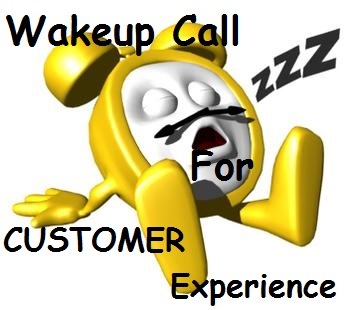 Serve as a “reality” wakeup call to bring you up to date on the need of providing a great customer experience. Remind you what you should be focusing on in today’s customer relationship focused marketing environment. And make you a bit nervous about getting it right by doing the right things. Let us remember that creating and retaining customers is what always has been at the core of any business and without them there would be no business-And today those who provide the better customer experience will be the leaders. What has changed is how we need to communicate and interact with customers and the need to provide a genuine customer friendly experience. The marketing environment today is too transparent to rely on “outdated” or “good enough” practices or worse- none at all. Do you really understand what customer experience is? Customer experience is instilling trust and confidence. The customer must know that you will live up to their expectations by making them feel comfortable in doing business with you. It also entails staying engaged with them after the sale by showing that you value them as a customer by giving them good service and rewarding them for no other reason than just being your customer. How you accomplish and fulfill these expectations is critical and according to all the information available the methods being prescribed and used in many cases today are debatable at the least and at worst- downright self-serving. All of us are customers and as such you must first think of how you as a customer want to be treated. In an effort to show business leaders in a way that would hit home and make them sit up and take notice Watermark Consulting, a customer experience advisory firm, did a Customer Experience ROI Study posted at Marketingsherpa to validate its importance through showing the impact it had on stock market values which we all know directly correlates to performance . So not only is it affecting how potential buyers value your company but also how it is affecting your bottom line. These findings and developments strengthen the need to find ways to interact with consumers on their grounds. Trying to compete on price and brand today is a losing proposition. It is simply not enough in this ““consumer controlled” environment. In order to compete effectively in this environment companies must provide an exceptional customer experience that will make them stand out above their competitors. According to this recent post at Business to Business Community written by Gregory Yankelovich there has never been a better time to make giant strides to gain market share over many of your competitors. Customer experience management must concentrate on interacting with the consumer and influencing their behavior in ways that communicate with them on their terms. By communicating with consumers in non-intrusive ways these interactions will positively affect how customers feel about your company and their willingness to do business with you and be advocates of your brand. To succeed in providing an excellent customer experience you must understand how to deal most effectively with them in how you communicate and interact with them. If you are not making customer relationships a priority in your overall marketing strategy or just relying on push marketing practices cleverly disguised today by marketing and technology companies as remarketing and geo-fencing you may not only be offending some consumers-but alienating them . Granted statistics are showing that these tactics have increased sales but where are the statistics that show how many consumers have turned away from companies practicing this type of marketing-and there are plenty. If consumers are opting out and avoiding the ways in which you are marketing it is time to find other ways that will encourage interaction in a way that they will welcome your contact and become advocates of your brand. Pull, don't push. Make sure that people can find you using Google, social networks and/or market places. Attract them with great content. Show, don't tell. Make sure people can see with their own eyes that you are awesome. Those who are cool and remarkable don't need to say it. Share, don't beg. Don't annoy everyone with 20th-century marketing tactics. Thanks to transparency, when you behave like a beggar, everyone will know. The consumer push back keeps gaining momentum and they are blocking and opting out of receiving ads. Google has just announced that it will be offering a subscription ad blocking service where the consumer can choose the amount of ads they see. In the mobile area the current push marketing tactics are facing challenges from privacy groups and now possibly from the FCC that will diminish the effectiveness of this tracking technology and increase the costs for advertisers to use tactics that are offending consumers. There are also other technologies and more being developed that are helping disgruntled consumers who do not want to be tracked and fed all this advertising. Faced with Congressional pressure, Verizon said in February that it would revise its program and allow people to opt out of tracking headers. And now the Federal Communications Commission could still step in and tell Verizon that they need to obtain users' explicit consent before engaging in this kind of tracking. All this tracking and retargeting has shown to be effective but they cannot measure the amount of consumers that are being alienated by this resulting in lost customers that may not patronize these businesses again. The cost effectiveness and benefit of having a customer or potential customer on your site as a community member is immeasurable when comparing it to the cost of campaigns to reach them. Communities humanize you in ways no other marketing medium can to show customers that you value them and offers you a way to insure against offending consumers with push marketing tactics to interact with them consistently on their terms and provide them with a great customer experience. Marketing From Ground Zero starts by having a community member platform on your website that you can utilize and adapt to all prevailing winds and turn an existing company resource- your website- your existing customer base - your site visitors and your employees into advocates and influencers as an anchor for your online marketing strategies. An onsite community can be the jewel in the crown of your online marketing and act as “ground zero” to fuel your overall marketing initiatives. Unlike paid advertising that is fleeting and exits only as long as you are paying, and which consumers are avoiding at an increasing rate, an onsite community is an asset that endures and can provide a solid foundation to continually produce benefits to both you and your existing and potential customers. With social organic reach fast becoming a distant memory as social networks and online advertisers seek to profit from their platforms “ It is time to Look Within” to seek alternative ways in which to effectively reach and draw audiences to build a permanent customer experience friendly foundation that can provide extremely cost- effective ways to control your own destiny and solidify your place for the long term in the online marketing industry. A new Forrester Research report released last Monday found that 73 percent of businesses surveyed stated that customer experience is a strategic priority but only 1 percent of companies currently deliver an excellent experience. That’s a problem, Forrester says, because customer experience (sometimes called CX) has become a more strategic imperative than ever. “Making customers feel valued is the holy grail of CX emotions,” said Megan Burns, a principal analyst with Forrester. As stated at the beginning of this article there has never been a better time to make giant strides to gain market share over many of your competitors so the time is “Now” to take the lead to improve you own value as a company by showing your customers how much you value them by enhancing their customer experience with an onsite community. Easter is upon us and Spring has sprung in most parts of the US and winter has essentially made its mark for this year. I often forget about the snow and the fun I had in it when I was young and the mess it just seems to be for a lot of us as we get older. One myth I would like to dispel is that in South America where I live (part of the year) it is not all jungle with all that entails including hot humid weather. I happen to be just under eight thousand feet up in the mountains where the windows are left open year round and it is always comfortable. South America encompasses just about every type of climate and where I’m at almost all are all just a short drive or flight away. And as the saying goes time flies by and in business it is no different so I will get to the point. 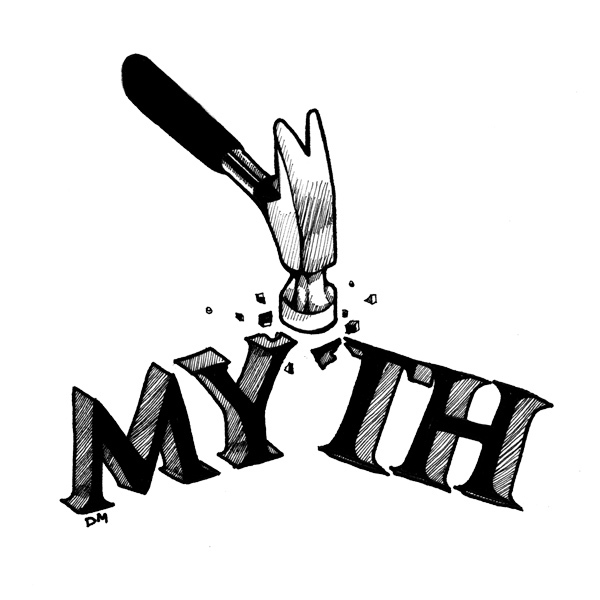 Sometimes we get caught up in a mindset that does not allow us to keep up with the pace of change which is how myths get created and at least in this context we can define here as beliefs without determinable basis of fact. The following slide show fast forwards you to some of today’s realities of what has changed in B2B marketing you may not be aware of or caught up to yet. The study this slide show is based on was posted in an article in Google’s Think Newsletter and written by Kelsey Snyder and Pashmeena Hilal. It was done by Google in partnership with Millward Brown Digital and brings us back to reality with what has changed in B2B marketing. They surveyed approximately 3,000 B2B researchers about their research and purchase habits as well as their use of digital (specifically, search, mobile, and video). Then Google analyzed 13 months of clickstream data from Millward Brown Digital's desktop panel. The study which was done in 2014 mirroring research done in 2012, gives you insights into the changes over the past couple of years. The results lay to rest some widely held beliefs that will potentially have a big impact on your B2B marketing strategies. Esto es un documento de <a target="_blank" data-cke-saved-href="http://office.com" href="http://office.com">Microsoft Office</a> incrustado con tecnología de <a target="_blank" data-cke-saved-href="http://office.com/webapps" href="http://office.com/webapps">Office Online</a>. 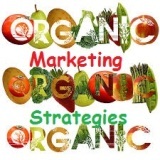 Marketing Practices- What to Believe? I don’t know about you but time is one of life’s cruel tricks. When you are young you can’t wait to grow up and have your independence and experience the world and time seems to stand still. Then before you know it you’re grown up and time starts flying and you wish you could slow it down-And Can’t. If you enjoy what you are doing and take every day that comes as a new adventure and opportunity to learn something and to make a difference in some way (in your life) you know what I am talking about. Because then you understand that Knowledge is everything-The more you seek to learn and experience the better your life will be. On the other hand if you are not happy with your life or your job then you are probably stuck in time and it seems to take forever to pass. If you are of this sort-GET UP?-WAKE UP? And do something about it-Please-You don’t know what you are missing and are just wasting the precious little time we are all given. First of all, I would like to point out that I take exception with content that I read during the course of studying and doing research that does not reflect all the information that it could or should include that might lead the average reader with less experience in Marketing Technology to form the wrong opinion or conclusion. Reader beware as in buyer beware is a term we all know. In the context of this article it is the collection of information necessary to be able to make a well informed decision and shame on you if you are not obtaining this information from a variety of sources and not taking one company’s or persons views, opinions or information as the only source on which to base your decisions. Not that you don’t already know this but in today’s fast paced and sometimes deceptive media environment time once again may be weighing you down and it is sometimes easy to overlook, make a quick decision or take something as fact especially if that information is coming from a source that you trust. Often there is limited time and/or resources to sufficiently research all the technology available and discussed and what it really can and cannot accomplish. This type of Content provides a source of information to inform and educate us on current trends and developments on products and strategies. Unfortunately, this content at times might not provide a well informed or objective view. With today’s rapid advancement of technology the pressures to monetize and the desire to stay ahead of the competition, technology is often brought to market that has not been sufficiently developed or refine enough to do exactly what it is intended or proclaimed to do. As an example I will refer you to my last article, A Bad Customer Experience - The Cost? - One Cent , where I bring up the following point concerning Marketing automation software. Marketing automation technology today is evolving but still finds it difficult, especially in B2C, to be able to recognize that people are complex humans that have many different reasons for any particular action they perform. Every customer’s experience is different and to assume or generalize what a customer’s intentions are can be an ill-advised and hazardous undertaking. Who and What do You Believe? It wasn’t too long ago, just last year in fact that the marketing world was advocating that the days of pushing your message on consumers to gain their attention was quickly fading and inbound marketing, pulling consumers through engaging them with quality content was taking prominence and statistics were showing the benefits. Last year Brian Conlin shared this in an article “It’s no secret that content marketing has become ubiquitous. After all, 93 percent of B2B marketers use it, a bump of 2 percentage points from 2012. However, just how effective content marketing is might surprise you. Despite costing 62 percent less than traditional marketing, content marketing generates about three times as many leads.” 59 Killer Content Marketing Stats: 2014 Edition—via B2C. If fact if you think about it and tell me if I am wrong, Triggered email, Retargeting and Geotracking are all push marketing disguised behind different names. And many people are pushing back. With all the technology that is being thrown at us today it is imperative that you have the means through trusted employees, friends or consultant who are on top of the subject you are researching and who can advise you on what you are researching can do and can’t do and what if any drawbacks there may be and if it would even benefit you. Another example of how confusing things can really get in this recent article entitled “Is Link-Building Dead?” by Marie Haynes Founder of HIS Web Marketing and posted at Search Engine Watch exemplifies how what one person says can be interpreted in so many different ways. We are all conditioned from the time we are born by society. In one sense, is necessary to have a set of rules on how to behave to be able to maintain a sense of order and basically we have little choice but to conform to what is accepted behavior. This is not necessarily a bad thing but it can be confining and controlling if we accept everything blindly and never question anything. Marketing companies create ads and content that condition us into taking on too much debt, instilling a must have or keep up with the Jones’ mentality (conspicuous consumption) or the need for all the latest trending products and before we know it, we are living lives created for us by the powers that be many times without our conscious participation. Keeping up with the pace of change in Digital (Integrated) Marketing is surely one ours and industry’s biggest challenges. You no sooner have implemented one technology another comes along, sometimes from the same company, that claims to be bigger and better than the one you just implemented which may be true or a lot of marketing hype. But do you really need it? Here is where you need to make a well informed and research decision. So don’t follow the crowd follow find what will work best for you and know the facts and you will be a lot better off for it. I was going to post an article this week on the seemingly lack of motivation on the part of many companies to implement an integrated mobile solution. If the mindset of these companies continues and if they neglect to give this the proper attention it will be at a cost much like not having an integrated customer relationship management solution. After reading the following story I am going to share with you written by Wendy Victora, Managing Editor at nwfdailynews.com, entitled “This penny wasn’t worth the trouble it caused”, I decided to write about another critical issue confronting companies in today’s marketplace and that is Customer Relationship Management (CRM). This story points out how a mismanaged series of events can expose significant problems and result in a less than desirable outcome. 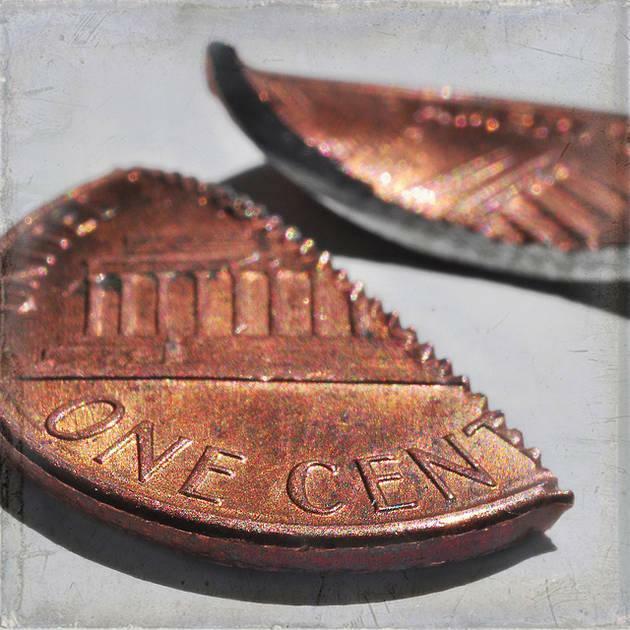 “Last week, my daughter spotted a penny in the parking lot and bent to pick it up. She had trouble prying it off the ground, coated as it was with disinterest and unknown fluids. After a brief struggle, she gave up and reached for the hand sanitizer. She’s been collecting loose change lately, mostly from our kitchen counter, and has filled a decent sized jar. But a penny isn’t worth much anymore, even to scavengers. I dropped one while paying for breakfast at a drive-through this morning and the cashier told me not to worry about it – she had plenty. We all do, most of the time. Last month, I was one short, apparently. And I didn’t know it until I got a disconnect notice from a local utility company. I knew it wasn’t a normal bill by the angry-colored orange box visible through the window of the envelope. My service would be shut off Feb. 26, the notice informed me, unless I paid my overdue amount of 1 cent. I had apparently written the check for the wrong amount and triggered the alarm system for being a deadbeat customer. I was irate and went to bed that night fantasizing about driving to Valparaiso – the nearest customer service center – and handing them the nastiest penny I could find. When I called the next day, a bored customer service rep told me they wouldn’t cut off my service for a penny. She said the computer automatically generates those notices. When I pointed out that, from a customer service perspective, that was a huge fail, she was uninterested. There was a time when common sense would have kept that notice from being launched. There was a time when an apology would have been issued. There was a time when a penny was worth something, when it was a respectable little coin. You would think that with the technology available to companies today, especially companies that have the resources to break down silos in their customer relationship marketing, would be taking the necessary steps to update their CRM processes. With the enormous power customers have today to make impact on a brand’s reputation it is imperative to have the right people in front of the customer and the right processes in place to deal with and detect issues across the organization. Each department and its employees must have access to the information available on its customers, if not each time a customer interacts with the company, that department has to provide the same information over and over again, duplicating effort and wasting time. This is not good customer relationship management is inefficient and frustrating for both customers and employees. You must also have employees who are motivated to help customers when they call with a problem, not employees who act “uninterested”. Empower you people to make decisions. Customers don’t care who they are talking to only that they have a problem that needs to be solved. If they are not connected with the right person and are passed around, customers get the feeling that your business is not organized, no one wants to help them or both. I am sure that you have all had these feelings trying to solve an issue that is important to you. Require your customer service reps or anyone who deals with customers to treat the people they communicate with in a way that they themselves would want to be treated. Empower your reps to solve the problem in the shortest amount of time possible and everyone will feel better for having found a solution and possibly create some good will. Wendy should have never been sent a bill for one penny. First of all, it probably cost the company more to process that penny they might receive and secondly you don’t want to send customers messages that are going to upset or scare them and then just tell them you were just kidding. There is only one outcome and that is a lost customer, in most cases, and all the negative word of mouth the customer can communicate to friends, family and across their social channels. Multiplied you can understand that this could have a devastating impact on your business. And take notice! Marketing automation technology today is evolving but still finds it difficult, especially in B2C, to be able to recognize that people are complex humans that have many different reasons for any particular action they perform online or offline. Every customer’s experience is different and to think that you can assume or generalize what a customer’s intentions are can be an ill-advised and hazardous undertaking. You first need to understand that communities should exist to serve the people in it but the residual benefits to your company can be substantial. Companies that understand and respect this can successfully leverage this asset. Cultivating the customer experience through a Customer Relationship Management Community is a mutually beneficial way to foster communication and trust between you and your existing customers, potential customers and employees through a central hub, your website, which will emanate your customer centric culture across all your social channels and magnify your organic SEO and social reach to increase not only your inbound lead generation to gain new members but benefit all aspects of your marketing strategies. In fact, many successful brands are successful because consumers organized around them through brand communities and defined what the brand meant. 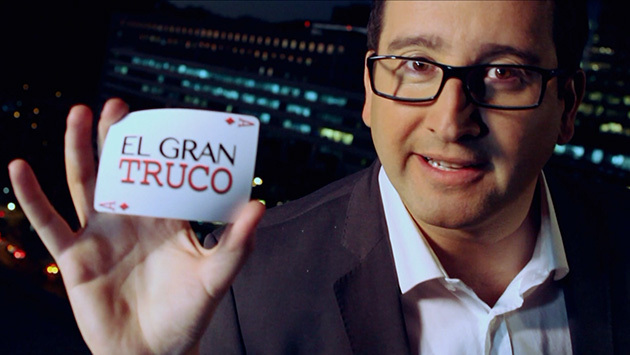 Today, consumers have the power. They can define the meaning of your brand regardless of how you may want to define it. They can also rally around your brand and to become advocates and influencers. The benefit of having community members is that you can actually understand their wants, needs and concerns through “one on one” communication that is worth far more than assuming or guessing at their intentions and/or pursuing consumers you don’t know around the internet trying to entice them into to doing something they may not have any intention of doing at the risk of alienating them. Why keep spending more and money on ways to figure out how to get in front of consumers that are trying to avoid you when you can, for a fraction of the cost, create a CRM Community to engage and communicate with them on their terms. Customer Relationship Management Communities act as a portal to gain valuable information through interaction with your customers who will welcome your contact, to enhance and target your marketing initiatives more effectively by knowing your customers and discovering patterns through interaction to build buyer personas to personalize your marketing messages in the most transparent and effective way available today. The benefits that these communities will bring are the most cost effective way in which to engage, retain, manage, nurture and form alliances with your community members, employees and potential customers that will not only foster loyalty and retention but promote your business in the most positive ways imaginable- all combining to raise the bar in defining personalization and customer relations. Companies with onsite customized CRM Communities can experience better employee relations, customer service, reduced customer complaints and higher brand loyalty. Think of having a central place in which to connect with and understand your customer’s and potential customer’s concerns, wants and needs without assuming or generalizing their intentions. Effectiveness-The value the customer perceives they are getting. Ease-The effort the customer must put in. Emotion- How customer feels about the overall experience. All of which a properly customized and executed onsite Customer Relationship community can nurture. A CRM community offers the engine that can pull all of this together onto one central platform located on your website for your business emanating with brand loyalty, influencers and devoted customers. Don’t forget to let me know your thoughts-go here for more in-depth information on CRM Communities. Then let’s schedule a time to have a “one on one” discussion about customizing a CRM Community for your company. I would like to thank Wendy Victora for allowing me to reprint her story for this post. Bigger Isn’t Always Better And……. .....How We Can Often Be Our Own Worst Enemies. Now and again I take pause, as I did last week from my usual topics on integrated marketing, some of which you can find here on Pulse, to discuss relevant topics that I feel strongly about when it comes to how companies operate and how they make their decisions. 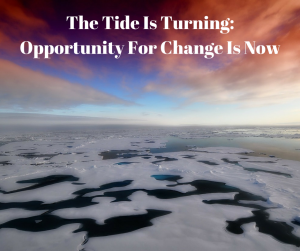 In this post I discuss two different topics that do connect and by connecting them I hope to open your mind to help you look at things from different perspectives and in doing so lead you to make better and more informed decisions. If you think I succeed in this effort leave a comment and let me know and equally if you feel that I did not. Two Bulls were standing on the top of a hill gazing down below on a beautiful sunny day at a herd of cows that were lazily grazing in a lush green pasture. One of the two bulls was young and sure of himself but lacked experience and was too quick to make decisions. Because of how the businessman explained to me through the story he told, The moral of his story has stayed with me to this day almost thirty years later and has served me well and mad me realize why it is important to take my time to research and study each step I took when it came to making important decisions in my life. This also enabled me to look at things from different perspectives, explore new ideas and be able to think “out of the box”. Being able to put yourself on the outside looking in is something that takes time, effort and discipline to master. Too often we get tunnel vision because what we know and how we have always done things in our lives tend to get in the way and hold us back. It could be out of fear of the unknown and or being satisfied with the status quo unwilling to change and accept new methods and ways of doing things whether consciously or unconsciously. As in the young bull’s case, he was just young and inexperienced and to quick to react because this is all he knew, but there are also other deep seated forces at play in our brains. But Instead of getting to deep into the psychology of how our brains work, I will refer you to an enjoyable read I had this week that delves into the psychology of how we often justify or react to resisting change entitled Why Businesses Have a Hard Time Fixing What’s Broken . By now you must be wandering how this all ties into why bigger is not always better. My intention here is slow you down and open you mind so that you are consciously aware of how our minds work so that you might better absorb the point I want to get across. In other words this is meant to open up your mind to take a more objective view and think “out of the box”. Big business and influencers in our lives have the resources and have been able to condition us to think feel and react they way they think we should at any given point in time and can miraculously do a complete turnaround without raising the eyebrows of the masses. One year eggs are bad then the next milk then something else and then all of the sudden they are good again. 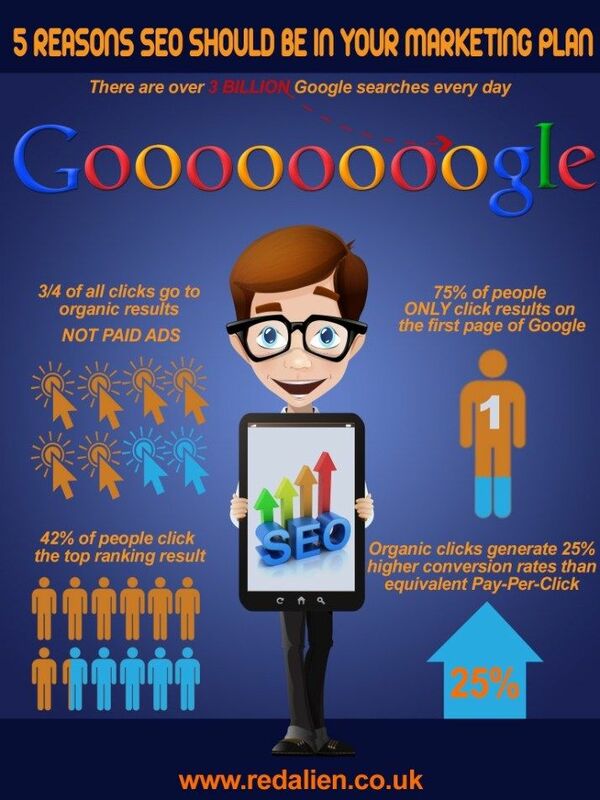 You could also compare it to what was being said recently about SEO and linking in search engine marketing. How can this be? Maybe it is through new research. then we must ask who is doing the research, but many times a lot of it is through conditioning so companies can lead you to make the decisions they want you to make. This conditioning has also been a factor in leading us to believe that bigger is better and because a company has the resources to get their attention through high priced marketing campaigns they can usually do the better job. A big business is a successful business according to the way many think but many times they have strayed from or lost what made them successful so possibly they are not the ones who are going to give 110 percent or do the better job to make you the best you can be. Many times an executive, committee or employee will go with a bigger more well know company because they feel safer and less exposed to shoulder the blame if it does not work out instead of going with a smaller lesser known company or firm that might be a better fit. If we go back thirty years or more you will discover that companies like Digital Equipment, Wang, and almost IBM went extinct or study mergers over just the past ten years that were usually a bad idea. A few examples are AOL – Time Warner – CNN, Kmart and Sears, the airline industry, and the department store industry, to name a few. Why, because they became bloated, many had conflicting cultures and they could not react, innovate or implement fast enough to keep up with smaller more nimble companies. And if you study economics you will discover that many things like the bigger is better mentality is cyclic and tends to repeat itself like fashion and often history itself. Meaning they could not offer their clients the kind of service and real time innovation that their smaller more nimble competitors could. If you think about it a smaller business has the ability and is motivated to communicate quicker and more efficiently to provide a higher quality service. Response and therefore reaction times are much greater which allow smaller nimble businesses the ability to build closer relationships with customers to better understand their needs and have the willingness to try new ideas. Better communication equates to more income, lower operating costs and quicker implementation of new technologies. I know from experience, as I am sure you do, with big companies - having to fill out job tickets and wait for a response and even longer to get something done or making three or four calls to get to the person you need to get an issue resolved or make a change to something. If these types of things are happening how efficiently are they handling your account? Also, quite often new or smaller accounts get passed to newer less experienced personnel. In a smaller firm everyone from the CEO down is involved in the planning and execution of each detail and they are constantly thinking of and discussing new innovative ways to improve. Companies that offer a one size fits all or all in one solution cannot possibly be on top of their game in everything they are offering. No one can be everything to everybody. It may be the easy way out but when was the easy way ever the best way? Every business is unique onto itself and what works well for one business may not work well for another-even the same types of business and even in the same market area. This is why you need a company that is going to constantly work to find those sweet spots that are going to keep you at the top of your game. I did not buy that piece of real estate that I was desperate to buy but ended up buying another property that returned much more than I could have expected from the one I wanted so desperately. By Taking Care of the People Who Take Care of YOU! Employee Loyalty & Customer Loyalty Can They Really Be Separated? I recently got involved in a discussion over an article that was written by a virtual acquaintance of mine Philip Nothard who posted an article entitled “Are carmakers killing off the optional extra ‘upsell’?” posted at AM Online an automotive publication. However, this morph into a discussion of how dealers operate today which gave me the opportunity to bring up the subject of employee relations and compensation-a subject that I feel strongly about and seize every opportunity to voice my feelings. I have been self-employed for most of my career but over my professional career working for others my experience has mostly been in sales at some level and mainly in the Automotive Industry. But my discussion here applies to all businesses in all industries across the horizontal in terms of the need to be loyal to your employees. To all businesses across the industry horizontal- Important Information. In this article and what a spot on title “The Secret to Delighting Customers? Put Employees First” co-authored by Disney Institute and McKinsey & Company explores the connection between companies that are good at both making their customers happy and making their employees happy. For any organization to perform better it is necessary that the employees are comfortable with their employer, each other, and work in close coordination towards a common objective. People that feel appreciated and motivated to do good work and enjoy their work rather than taking it as a burden. *68% of U.S. full-time employees are suffering from work overload (Cornerstone)Nov. 10, 2014 — While the unemployment rate may have dropped in the past year, that doesn’t mean the workloads of those already employed are easing up. 68% of U.S. full-time employees are suffering from work overload, a 14% increase from 2013. Work Overload is the Biggest Productivity Killer In The US. *56% of executives say promoting loyalty is "not a major focus, but valued nevertheless" (American Management Association) Just “Political Rhetoric”. In other words not very important. * 24% of executives say promoting employee loyalty was "never valued nor a major focus" (American Management Association) - Fewer here but maybe being more honest and forthright. It is important that the management promotes healthy employee relations at workplace to get the best out of each individual. Competition is essential but it should not promote negativity. But more often than not, in today’s mindset of increasing the bottom line at any price focusing on rewarding and cultivating dedicated and loyal employees has become the exception to the rule but the benefits of being the exception can be enormous. About thirty years ago it became popular and necessary for many bloated companies to downsize and cut the fat to survive in the marketplace. But what began as a necessary effort to make companies more efficient has evolved into quarterly driven public and privately owned companies whose principal mission is to do anything to show grow often at the expense of the people on the front lines-its employees. Employees are the ones on the front lines day in and day out and are the heart and soul of your business. A company’s employees are the ones making it all happen and driving those dollars to the bottom line. Bottom Line Growth is not sustainable only Top Line Growth is and only Top Line Growth will get you real sustainable growth without diminishing the infrastructure of what drives that growth. Maybe it adds more to the bottom line- but is this really true? Employee loyalty and dedication is critical to a company’s long term success. If you want to grow your business, you need to have an environment that encourages team work, and encourages everyone to work together to learn and try new things and to give 100%. One of the hardest parts about running a company is attracting and retaining real talent. The only way to realistically do this is with a great atmosphere, fair compensation, employees that feel good about coming into work with the desire and motivation to perform their best. If employees are not motivated, poorly compensated, or are unsure about their position, the results of this type of atmosphere will not only restrict growth and result in high turnover but combined can and probably will seriously restrict it. You can have all the proven systems in place that guarantee success but if you don’t have true leaders and talented and dedicated employees to institute those systems you are most likely going to fail or at the least underperform in the marketplace. Engaged and dedicated employees provide better service and show genuine concern for customers that is a reflection of confidence in the company and shows through to put customers at ease “instilling trust” that gives them the confidence to do business with them-your company. Dedicated employees generally stay longer with a company when they feel comfortable working there which also shows customers that they also can feel confident continuing their relationship with the company and recommending them to their peers-all contributing towards sustainable long term growth. Monetate, who powers multi-channel personalization for the world’s best brands reports that 73% of consumers would consider purchasing from a brand again if they had a superior customer experience. MetLife’s 10th annual survey of employee benefits, trends and attitudes puts employee loyalty at a seven-year low. One in three employees, the survey says, plans to leave his or her job by the end of the year. According to a 2011 Careerbuilder.com report, 76% of full-time workers, while not actively looking for a new job, would leave their current workplace if the right opportunity came along. Other studies show that each year the average company loses anywhere from 20% to 50% of its employee base. Whatever the actual figures some employees are clearly feeling disconnected from their work. Among the reasons cited for this: the recession, during which companies laid off huge swaths of their employees with little regard for loyalty or length of service; a whittling away of benefits, training and promotions for those who remain; and a generation of young millennials (ages 15 to 30) who have a different set of expectations about their careers, including the need to “be their own brand,” wherever it takes them. In a nomadic world, one of the casualties is a decreasing sense of commitment to the organization. Are you Convinced yet? So……. Where’s The Beef? One big reason that Businesses today lack the dedication and leadership needed to build a truly successful business is the lack of compensation (proper pay for performance). This for some reason lately has become a dirty word in some circles. Remembering someone’s birthday, giving extra time off and pats on the back in lieu of compensation is just placating the powers that be. Anyone who talks like this is either doing it so as not to upset clients or have never been in the trenches trying to make a living-or both. All this is good will but if it isn’t backed up with “proper pay for performance” you will never attract the true dedicated leaders and employees that can get the job done. Also if you have or work for a company that takes care of the people who take care of them, let me know how they are doing it and the success they are realizing for doing it right. *Employee Engagement & Loyalty Statistics: The Ultimate Collection by Posted byBrandon Carter was an important source for many of the statistics in this article- Thank you. Sunday’s Super Bowl XLIX, featuring the Patriots’ wild, down-to-the-wire 28-24 win over the Seahawks, scored a 49.7 household rating and a 72 share — besting the 48.1 rating set two years ago when Baltimore triumphed over San Francisco. The final viewer tally for that game was 108 million. Last year’s Super Bowl of course stands as the most-watched U.S. television event of all-time, having averaged 112.2 million viewers. The Patriots, who just happen to be my favorite team, became the sixth team with at least four Super Bowl wins. They are tied with the Pittsburgh Steelers and Dallas Cowboys for most Super Bowl appearances, with eight. Pretty impressive statistics. If you imagine the Super Bowl as a website with people from all over the world clicking through to engaged a piece of quality content, online event or special offer it then becomes essential to find ways to keep them wanting to return. One thing I am sure of is that the accomplishments of these teams and this event were achieved through hard work, experimentation and by constantly moving forward to find the right mixture of plays, players, coaches and marketing strategies to consistently drive their success. This is what you need to accomplish in marketing your website. Do you think that the Super Bowl or any major event would be as successful if they didn’t use every play in their playbook to engage their audience? You need to give people a reason to want to visit and keep coming back to you website whether they are a lead (perspective customer) or an existing customer. When events like this occur the social channels light up with a frenzy of activity including commenting, sharing and newsjacking which I am guilty of here but it is a common and can often be a beneficial tactic. According to Hubspot, the article I linked to here, I am a little late to the party but I don’t do this full time so I guess I can be forgiven. But if it helps to get my point across, an important one- I think, and one that works and has been gaining traction plus a subject that I have been writing about for years. If you have been following my articles you might have a good idea what my point is but if not it is creating an Onsite Social or branded community depending what the trending term may be and there are others. In fact this strategy has been included in Forrester’s playbook of predictions for 2015 as one if the nine things every marketing leader should do to get the most from social media. In addition to establishing a forum including an Onsite Social Community will anchor your customer centric culture by offering a permanent and centralized platform for communicating and engaging with your present and future customers and keep them coming back. This includes permanent discounts for community members as well as special discounts offered on a timely basis. Put your marketing dollars where they will offer the highest ROI by directly benefiting your members the ones who are going to pay you back over and over through loyalty. Have a monthly drawing for $$$ In free services and or product discounts that broadly cover individuals current needs that members can enter every month with their e-mail to keep members engaged and visiting your site. There are countless ways to engage your audience by sponsoring contests within your onsite community and across your social channels and are only limited to your creative ideas. Have special offers for community members and site visitors (who join) for doing something that will extend your brand. Take a picture of winners of contests, customers satisfied with service or at time of purchases that you, your employyes and customers can automatically and easily post to the Community Testimonial Page (See PhotoRep) and their Social Media channels. Events anchor any business to their community. You can take advantage of and encourage your community members to participate in all your real-time event ‘live’ media marketing to help you broadcast it across every online digital and traditional marketing channel. Imagine blog casting, social casting, and mobile applications all working together to engage and draw potential viewers and fans to the event both during and after it’s over. Events marketing can also be used as a multichannel online sales or advertising event tool to enhance your inbound leads and including community members can add invaluable authenticity to all your campaigns. I have listed 11 Plays here to put in your playbook of marketing strategies utilizing your onsite community and there are many more that you can add to keep driving down the field to keep scoring goals. Onsite Communities are HERE, they are REAL, AVAILABLE and currently providing enormous BENEFITS to businesses across the Industry horizontal. Businesses are driving leads through Inbound and Digital Marketing strategies utilizing their onsite communities to broadcast their customer centric culture across their social channels and organically across the internet. The upside potential of having and utilizing an onsite community to engage and interact with your audience and customers is enormous. Showing your existing and potential customers that you will be there before and after the sale to reward and take care of them will create a customer centric culture that will foster customer loyalty that will extend across all your earned, owned and social media to benefit you and your customers each and every day. This is customer care at its finest and what will drive your success for years to come. Give me a call to show you how we can get you across the finish line time and time again.